Applies to: Argus Pro, Argus 2, Reolink Go. In this FAQ we offer a few steps for you to troubleshoot the problem of no records saved in your cloud account. Solution: Confirm that the camera is bound to your cloud account successfully. Please refer to the instructions here to create cloud account, subscribe a cloud plan and bind the camera. Solution: Confirm that Upload Automatically is enabled. Please refer to How to upload the record videos to Reolink cloud server. Note: if the problem exists, please change the Video Resolution to Fluent. 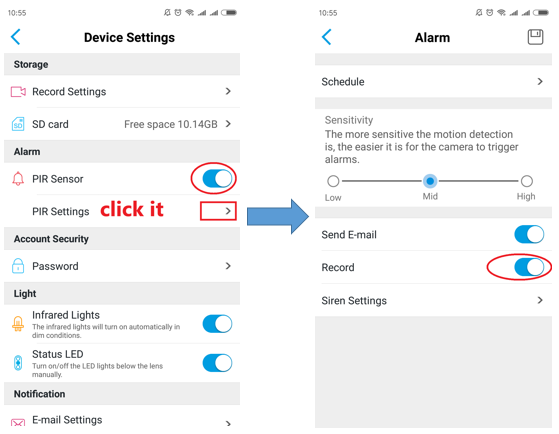 Make sure the PIR Sensor and Record option are ON. 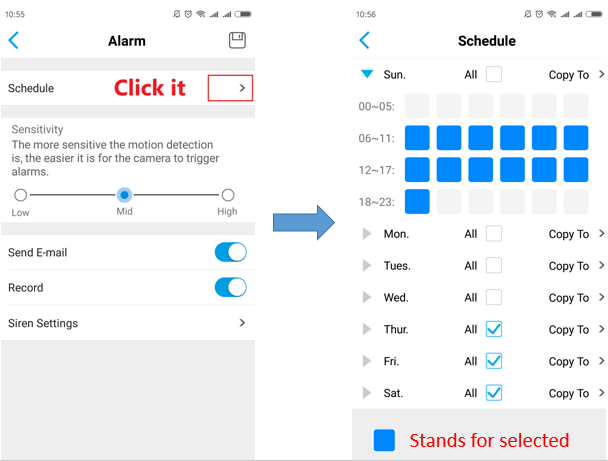 Confirm the dates and time periods when you want the camera to alarm you, and make sure they are chosen in blue. 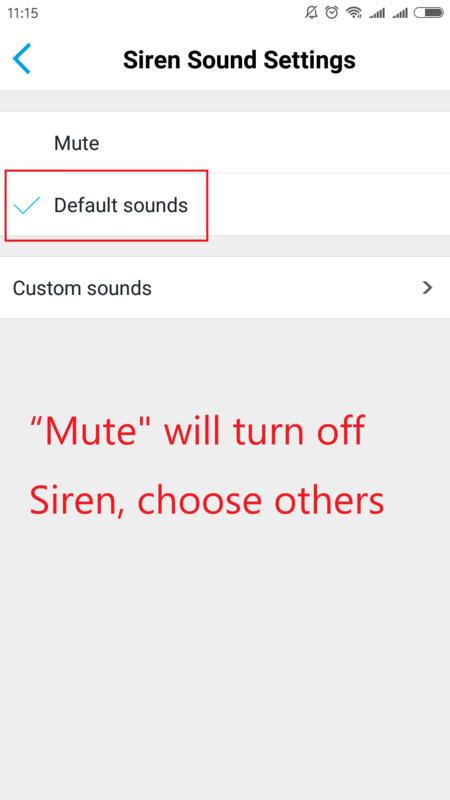 Enable Siren. Wave your hand in front of the camera to trigger the PIR Siren. If you can hear alarm then it means your PIR is working properly. Configure Email Settings and turn on Push and Email Alerts. 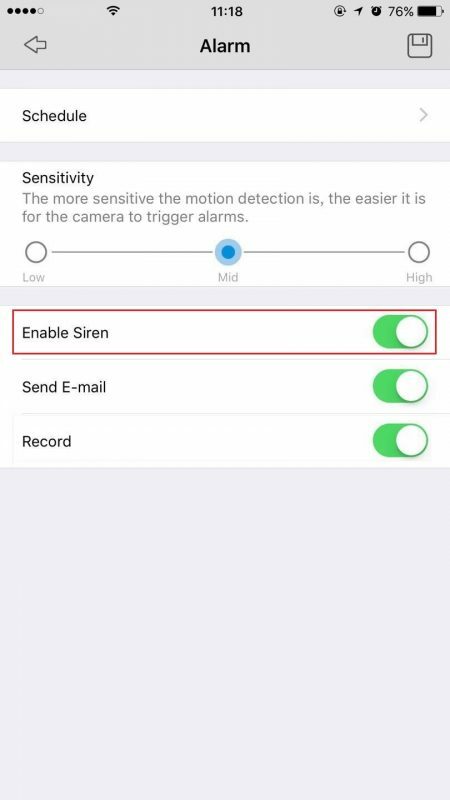 Wave your hand in front of the camera and see if whether your phone receives PUSH or E-mail notifications. 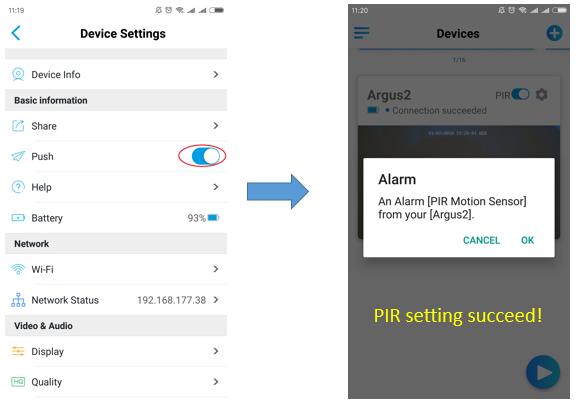 If it sends push or E-mail notifications then it means your PIR is working properly. Solution: Insert another SD card into the camera to test whether it can save the recordings. If you still can not find recordings in your cloud storage, please contact support and provide UID & password for us to check for you.